A Dublin native, Ryan is undergoing his final year in B.Sc. 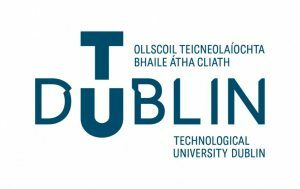 Marketing, Technological University Dublin. In 2018, he was nominated to represent TUD College of Business at the LePere Awards – Marketing Society of Ireland. Ryan was also nominated as a Digital Student of the Year finalist at the Digital Media Awards 2018, making him one of the final four students in Ireland. His proudest achievement is fundraising €7,500 for breast cancer research, and €2,100 for homelessness within Ireland. Ryan has previously occupied two positions (client services & sponsorship) in Ireland’s largest marketing communications organisation, Core. Raised in Dublin city, Alyson is a fourth year Bachelor of Marketing student. She spent the 2017/18 academic year on Erasmus exchange at Copenhagen Business Academy, where she fully immersed herself in the Scandinavian education system and culture. She has held an internship position on the Strategic Planning & Resource team at the established ESB headquarters of Ireland. During her vacation periods, she has worked as a Welcome Ambassador at the Book of Kells exhibition. Among her many interests, Alyson is an avid public speaker and has a passion for culture and arts. Rebecca is a hardworking individual, who after graduation of a two-year course in business and management gained early acceptance to a bachelor’s degree in marketing, joining in the second year. Through this, she was able to join the Erasmus program and spend six months in Sweden, thoroughly enjoying travelling, meeting new people, and photographing the journeys she’s experienced. Currently a final year student, she works diligently as a digital strategist, and looks forward to experiencing Canada for the first, and hopefully not the last, time. Born and raised in Kilkenny, Ireland, Lisa is now in her fourth year of studying a Bachelor of Science degree in Marketing within the capital of Ireland, Dublin, in which she adores. After years of taking part in musicals and performing on stage, she is eager to put her performance and presentation skills to the test on the big stage in Canada. Lisa is no stranger to Canada after her college exchange trip to Bishop’s University in 2017. Through her love of stage, travel, and digital marketing work experience, she has found a passion for the world of business and marketing. She looks forward to all the opportunities that lie ahead for her. Born, raised, and living in Dublin, Roger is Head of the Department of Marketing Studies at the recently created Technological University of Dublin, College of Business, School of Marketing, formerly DIT. TU Dublin College of Business is home to Ireland’s largest Business School and provides undergraduate, postgraduate and executive education from the centre of Ireland’s capital city. The development of Globally-minded graduates is at the heart of TU Dublin’s mission and we are proud to host 130 international students from our partner universities (many of these NIBS members) from mainland Europe, Scandinavia and Eastern Europe, USA, Canada, Australia and Asia. Students join us every year and in turn, our students develop their global competences abroad with these partners. The College of Business mission is to be close to industry and the professions which ensures that case study teaching is central to our activity. 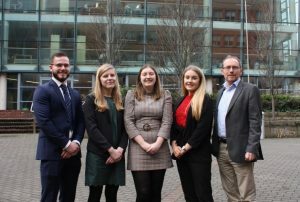 TU Dublin College of Business is passionate about case competitions and Roger has been developing and coaching teams for competitions for over ten years.